Four men have been remanded in custody on attempted murder charges in connection to a shooting in Upper Langwith. The incident happened in Bassett Hill, Upper Langwith, on October 2 last year, and is believed to be related to a separate shooting in Fletcher Gate, Nottingham, at around 10.20pm on Saturday, November 3. 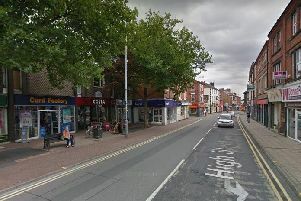 Jordan Murray, 25, of Bestwood Park, has previously been charged with attempted murder in connection both the Fletcher Gate and the Bassett Hill incidents. He has also been charged with possession of a prohibited weapon and ammunition in connection with both incidents. Tarquin James, 28, of Woodthorpe, has also been charged with attempted murder and possession of a prohibited weapon and ammunition in connection with the Fletcher Gate incident. Officers have also charged Nathaniel Skerritt, 31, of Sherwood, with attempted murder and possession of a prohibited weapon and ammunition in connection with the Fletcher Gate incident and possession of a prohibited weapon and ammunition in connection with a warrant at a property in Sherwood on November 8. Murray, James and Skerritt were all remanded in custody and have been sent for trial at Nottingham Crown Court on September 30, 2019. The fourth man, Dianvelli Williams, 21, of Leeds, has also been charged with attempted murder, possession of a prohibited weapon and ammunition in connection with the Bassett Hill incident. He has been remanded in custody and is set to appear at Nottingham Crown Court on February 7, 2019.